Developmental Screenings and Consultations are an important first step. A free developmental screening is often the first step in starting pediatric support services. Some families or teachers may have specific concerns regarding a child’s development. Others may have “undetected” needs. Screenings can help better identify areas of strength and those that may benefit from support. An MTC screening, with highly qualified, licensed and credentialed therapists begin the process of determining if a child’s development is progressing as expected. Screenings are typically 10-15 minutes. What areas are looked at in a screening? How is a screening done? Feedback from teachers and the parents along with completion of the current skills and questions portion of the MTC permission form is valuable in the collaborative process. Therapist’s use blocks, picture cards and crayons to look at fine motor skills. You may see our therapists engaging a child in a jumping or walking games to screen gross motor skills. Therapist’s asks questions, have the children follow directions and name pictures to assess speech, language, daily living, self help and literacy skills. What is the difference between a screening and a consultation? Consultations, similar to screenings are free of charge. Often times, within certain areas of a child’s development such as sensory processing a consultation is a more targeted first step than a screening. Consultations typically take 10-15 minutes as well and provide a licensed occupational therapist the opportunity to speak directly to the family/staff regarding what is occuring for the child in his/her environment. The MTC therapist will ask questions regarding what interventions have already been tried, determine length and frequency of occurance and offer recommendations for additional options of support and skill building. If further evaluation is warranted those options will also be reviewed during the consultation. Using information gained in a screening/consultation and discussion with teachers parents and caregivers the MTC team can determine the next steps for any additional follow up. 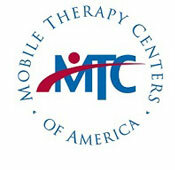 Click on the link below to access your copy of MTC’s Onsite Screening Permission Form. Upon completion, our office will be in touch to schedule your requested screening.